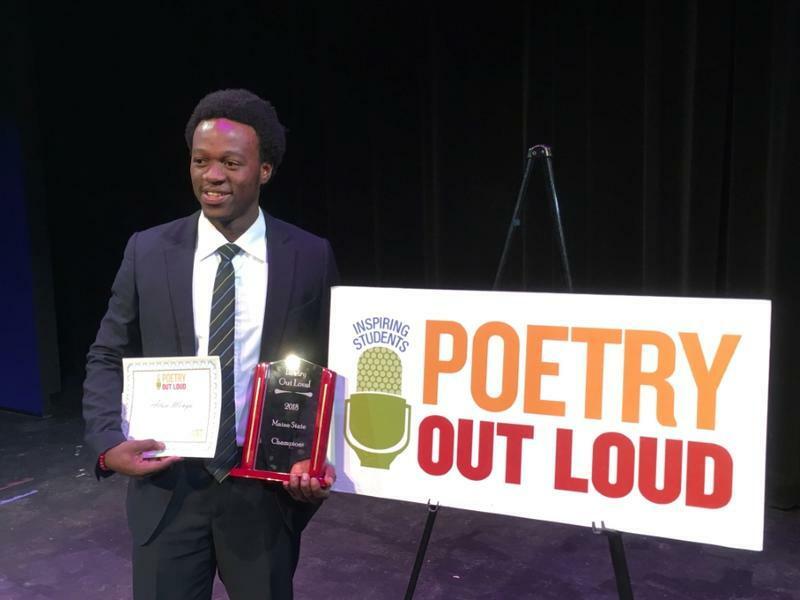 Allan Monga, winner of Maine's 2018 Poetry Out Loud competition. When Monga immigrated to Portland last summer, he sought asylum from his home country of Zambia. That means he wasn’t classified as a “U.S. citizen or permanent resident” — a requirement to take part in the Poetry Out Loud national finals. Earlier this month, Monga took the National Endowment for the Arts, the festival organizer, to court and asked a judge to let him compete. Monga’s lawyers argued that the NEA’s rules discriminated against him and others. He didn’t make it to the competition’s final round, which takes place Wednesday, but his lawsuit against the NEA is still ongoing. While the judge allowed Monga to participate in the national finals, he has yet to make a final decision determining whether the NEA’s eligibility rules are unconstitutional — a decision that could have an effect on future competitors. Portland Public Schools Superintendent Xavier Botana says his district has many students who are seeking asylum. He says the district is talking with lawyers about how to make sure those students will be eligible for future competitions, whether by continuing the lawsuit against the NEA or by petitioning state and local organizers directly. The NEA’s rules are still present on the Poetry Out Loud website. Asked whether they would be changed, a spokesperson for the agency had no comment. This story was originally published April 24, 2018 at 4:30 p.m. ET.